7 Comments Published by Terrace Crawford on 3/30/11 at 12:46 PM. This video was being discussed on CBS this morning. It's sad ... but true. Words hurt. Bullying has to stop. Period! And, you may not realize it but you might participate in bullying just by making a comment on someone's facebook status or by laughing when someone is teased at school or at work. Words are worse than sticks and stones. 10 Comments Published by Terrace Crawford on 3/29/11 at 12:04 AM. Saw a production of Annie. The star of the show (Annie) was played by a young girl in our church. She was great! 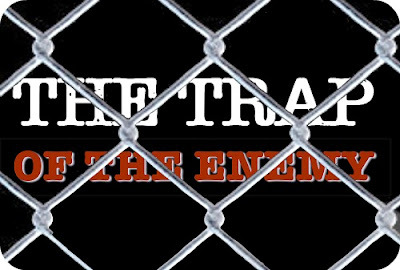 Finished up a teaching series in our weekend services called "The Trap of the Enemy". It's a series on how the enemy is attacking our relationships with God and others through offenses. Blown away that Butler and VCU made it to the Final Four. Got a free copy of Howard Shultz' book Onward. Can't wait to read. Was in a meeting with a few church leaders on Thursday and in walked Rick Heil, lead singer for SonicFlood. Just read an article about how their is a need for fatter car crash-test dummies because of the obesity in this country. I'm contributing to that problem and I'm doing something about that. Last week I started talking to personal trainers. Hope to hire one by the end of the week. One of my students said to me yesterday (in all seriousness), "TC, I listen to every word you say." Wow. I confessed my childhood dream on Sunday to be a professional wrestler. The place erupted in laughter. Then I dropped an elbow on everyone in the audience. OK-we are well into Spring now and we had snow yesterday. Can we just talk about how crazy that is? I don't know if you watch the Oprah's new network at all but I watch 2 shows on that network - Behind the Scenes & Master Class. The talent this season on American Idol seems to be unparallel to other seasons. It's going to be difficult to chose a clear winner. I don't understand why AI identifies the Top 13 and then only allows the Top 10 to go on the post-show concert tour? Just made an announcement about my plans to do the Orange Conference. Hope to see you in the ATL. Latest NY Times Article on social media and how its affecting those around us. I'm going to start doing more random giveaways here on the blog for you, my faithful readers. Today I'm giving away a Starbucks Gift Card. If you want to enter for a chance to win, just leave your name and twitter name or email address. I'll pick one random person on Thursday. 5 Comments Published by Terrace Crawford on 3/28/11 at 11:46 AM. A couple of years ago I had never heard of Orange. I mean, I like oranges... but this is a conference we're talking about. Actually, more than that. 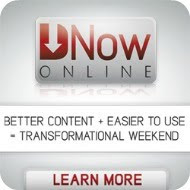 It's thought leaders, curriculum, resources, and more. Then, I started talking to some of my closest friends in ministry... who happened to be some of those very leaders and I realized that I had been oblivious to something unique. I mean, some of my friends plan their calendars around Orange for crying out loud! No kidding. And this year... well, I may become an Orange... er ... I mean, partake of the Orange? Yes -- for the first time ever I'll be attending the Orange Conference. I've been asked by the coordinators of Orange to do some LIVE BLOGGING during the event and I'll be sharing my experience with readers all over the world. This means I'll be blogging my thoughts, experiences and yes, even some backstage interviews with the speakers and presenters. I'll be headed to Atlanta at the end of April. Won't you join me? Take a look at the experience from 2010 in the video that follows and see what you're missing out on. And [enter here] for your chance to win FREE AIRFARE & REGISTRATION to the Orange Conference! 8 Comments Published by Terrace Crawford on 3/23/11 at 12:50 PM. 1 Comments Published by Terrace Crawford on 3/22/11 at 1:21 AM. We created a 12-hour worship experience for students that was pretty awesome. It had been a while since we've done an overnighter. I'm currently doing a series in our weekend services called "The Trap of the Enemy"
I've never seen a time where more people are broken than they are right now. I believe we are seeing a time in the Church where we have more leavers than believers... and there's a very real enemy behind it. WinterJam came through town this past weekend. I might need a 5-hour energy on-hand at all times. Really liked this quote on discipleship I read this week. I am normally sitting in front of a TV somewhere enjoying March Madness...with a bracket all filled out. But not this year... got too much going on. In fact, in the last few years I've been extremely good at determining who will make it to the end. I just visited Lance Armstrong's site for the first time today even though I wore his Live Strong band on my arm for a couple years. I was scrolling through my iPhone last night looking at recent pictures I took. I failed to share this one with you. It's a picture of a kid I took in Chicago. He had the best fauxhawk. His mother told me it was natural and that she never puts gel in his hair. #Amazing! 1 Comments Published by Terrace Crawford on 3/18/11 at 9:12 AM. Ran across this video from my friends at Granger. This video has a great message that we all need to be reminded of from time to time. Thought I'd share! 0 Comments Published by Terrace Crawford on 3/17/11 at 11:07 AM. Congratulations to Todd Cameron, the winner of my Amazon Kindle giveaway! Todd is a Bi-vocational youth pastor in Hennessey, OK. He's pictured here with some of his students from First Baptist Hennessey, where he has served as a staff pastor for 13 years! In addition to serving on staff at his local church, Todd has also been on staff at a local high school where he's been a teacher and coach for over 16 years. Todd told me that he's seen a lot of growth in the ministry at his church and its primarily thanks to his incredible volunteer staff. He also added that he loves that their ministry transcends denominational lines. Me too, Todd. Me too! Cameron was randomly chosen as the winner of my Kindle giveaway after completing my site survey. He picked up a free DVD resource, Starbucks Coffee, and an Amazon Kindle from yours truly. 2 Comments Published by Terrace Crawford on 3/15/11 at 1:52 PM. 0 Comments Published by Terrace Crawford on 3/14/11 at 11:00 PM. Great weekend. How about you? I am enjoying the weather. I like the time change too. Me and DST get along real well. Why does everyone freak out about losing an hour of sleep? I mean, its just an hour. And if you are that concerned about it why don't you go to sleep earlier? I never get the emotion over DST. Apparently I missed the fact that today was National Napping Day too. It's amazing the conversations that happen at conferences but don't end there. By the way, are we connected on Facebook? I had a meeting earlier today with students at ChickFila. While we were there the Cow decided to join our meeting. He literally sat down for 15 minutes with us. Putting together a sermon series I'm pretty stoked about. Can't wait to share. Praying for the people of #Japan. So sad what we're seeing. Saw this video earlier today. It's first-person footage of a tsunami. Downloaded the Oregon Trail app the other day. It takes me back to 4th grade! My teachers use to never be able to pull me away from the computer when I played that game. Having such amazing ministry right now to students during our STORY series. Each week we're giving up the mic to teens who want to share. Unbelievable community has formed right before our eyes and God has been glorified. Loving my work with ChurchLeaders. They are great people to work with. 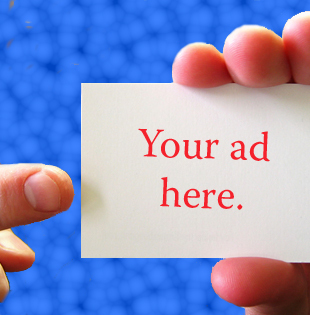 If you run across articles or videos that you think would really be a great fit for our site would you please email it to me? I'd be grateful and give you credit for the link too. Gas. I hate these prices. We all do. I may start the drilling myself. Looking forward to seeing some of my friends on the WinterJam tour as they come through our area this weekend. Met Matt with R04R recently. He's doing an amazing job designing mobile apps (and web apps) for churches and orgs. Looks like UFC has found their golden boy. I make so many jokes about the "Taco Party" (from the AT&T commercial) that me & 2 friends decided to throw one. Last Friday good times were had. We'll be doing it again soon I hope. Really enjoy Matt Maher's music. Thanks for reading. I sign off with this... stay classy. What Will the Future of Youth Ministry Look Like? 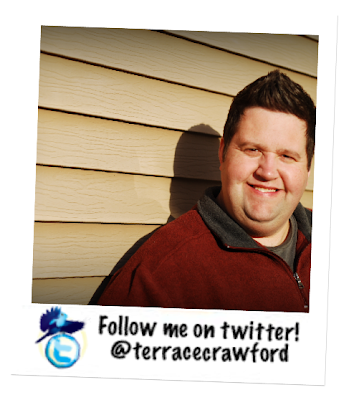 6 Comments Published by Terrace Crawford on at 3:33 PM. "I think we are beginning to see less paid staff in youth ministry than ever before… and this is just the beginning. I believe churches will recruit more volunteers in the days ahead. Additionally, I think we’ll see less silos in youth ministry and more integration of students into “big church.” As a result, students will begin assuming more leadership roles. Finally, I think churches & ministries are having to “strip down” to the basics because of the economy & budget cuts — and it just might be what the Lord has ordered. I believe what we often see in the physical realm is mirrored in the spiritual. 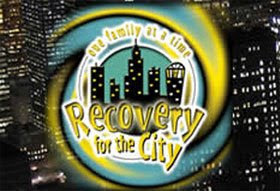 God may be salvaging the remnants and stripping away what doesn’t need to remain in our ministries & we are better for it. 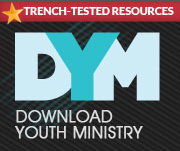 Because of this, I am very hopeful about the future of youth ministry." Click on over to Marko's blog and read his thoughts on what I shared. Also, you may be interested in reading a recent post I did on "5 Glimpses into the Future of Youth Ministry." What are your thoughts about the future of YM? 3 Comments Published by Terrace Crawford on 3/8/11 at 11:12 AM. Do you realize that we get to be participants in the Kingdom of God? Jesus addressed people on the Sermon on the Mount and called them "blessed"
It seems when Jesus is speaking to the crowd he is saying "you are 'lucky'. 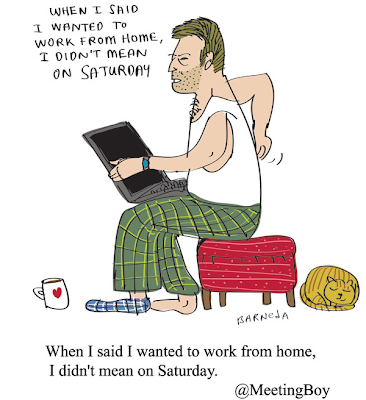 'fortunate'." God isn't cruel. The Kingdom has come... and Jesus says to us "Rejoice!" Paul in Ephesians says "Blessed is the God we serve"
The Kingdom of God - The rule of God expressed on earth through his covenant people. Read Charles Dickens, "Great Expectations"
Knowing the source of your fortune helps you understand the purpose for it. The Kingdom has come to us so that the Kingdom can come through us. Every time you sit with a teen who is weeping we can say "I can comfort you now because we have hope coming." 3 Comments Published by Terrace Crawford on 3/7/11 at 6:13 AM. Each year Jake Rutenbar creates a music video for the conference. This year he raised the bar. Check out this year's installment titled "Stay Classy." This is one of the slickest videos I think I've ever seen at a conference and its definitely worth 4.5 minutes of your time. 2 Comments Published by Terrace Crawford on at 12:17 AM. What is the current state of your soul? When leaders lose their soul so do the churches and organizations they serve. It takes deep wisdom to see that you've lost your soul and when you actually recognize it, its too late to retrieve it. Ruth told the story about losing her credit card and the "panic" she felt. 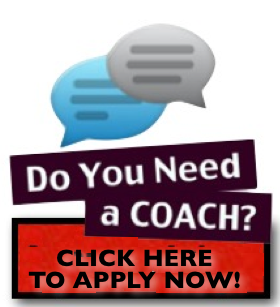 Leaders must treat this with the same sense of urgency as when you lose your credit card. Sometimes we get to the place where we recognize that we've gotten disconnected from God. In these moments we need to seek him. (1) Solitude became the place of conversion. -The only leadership experience Moses got was 40 days with God in the wilderness. -Stop the flow of your words and listen to His. -There is an interesting rhythm Moses had. The people would complain and he went to God with it. -The people recognized God's presence in his life when he went into the tent of meeting. They would bow in reverence. -Moses would have said "the promise land pales in comparison to your presence." -I believe Moses was satisfied with not going into the promise land because God's presence was so fulfilling for him. -Moses found that his promise land was the nearness of God. 1 Comments Published by Terrace Crawford on 3/6/11 at 2:06 PM. Gungor is joining for the Simply Youth Ministry Conference here in Chicago. Last night we were led in worship by the band. I've seen Gungor many times before but Michael has reinvented himself a bit... and this new worship expression embraces art, liturgy and rock (or post-rock). It's refreshing. 1 Comments Published by Terrace Crawford on at 5:34 AM. What kind of culture are you creating around you? These 3 elements should exist in the culture you are creating: Humility, Honor, Jesus. When God gives glimpses of who he is people fall down. Let me skip to the end of the message because I won't get there. "It's all about Jesus!" My definition of "Humility" is this: Humility is seeing God. What is critical to creating a culture of humility in your life is whether or not you have your eyes fixed on Jesus or not. Jesus stood up in our place when no one else would. That is honor! There are so many broken people in our world today. People are looking for "that" place where others are honored. 0 Comments Published by Terrace Crawford on at 1:18 AM. 0 Comments Published by Terrace Crawford on at 1:00 AM. We have many voices that we listen to... complainers, angry parents, disgruntled pastors...who are you listening to? There is something powerful about having a rare voice speak into your life. It is difficult to find the "helpful" voice in the midst of the "common" voice. I believe that youth workers are becoming puppets orchestrated by common voices instead of being led by the rare voice of Jesus. We cannot compete with culture. 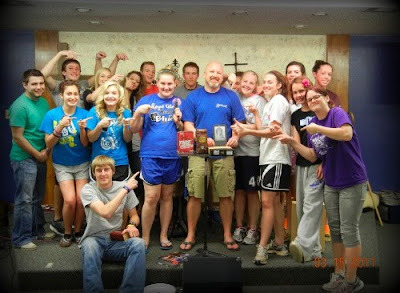 We try to make Jesus amazing. He doesn't need our help. Jesus IS amazing! People were amazed when they got around Jesus. Let students stumble on to this amazing Jesus. Jesus is not a long distance savior. He is the Jesus who said "let the children come unto me." Jesus has a transformational voice. I don't want you to miss it. 7 Comments Published by Terrace Crawford on 3/4/11 at 6:30 AM. 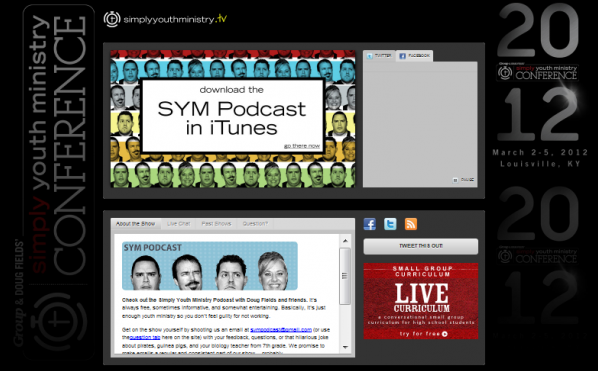 1) Visit SimplyYouthMinistry.tv - the conference site just launched so you can catch the general sessions and watch the LIVE Simply YM Podcast. 3) Follow my blog (as I'll be blogging throughout the conference). I plan to do a few posts throughout the conference and I hope to interview a few folks while I'm here. 4) Check the comments of this post. I'm encouraging my #SYMC friends to leave links to their blogs in the comment field so you can follow their coverage too. 69 Comments Published by Terrace Crawford on 3/2/11 at 7:03 PM. 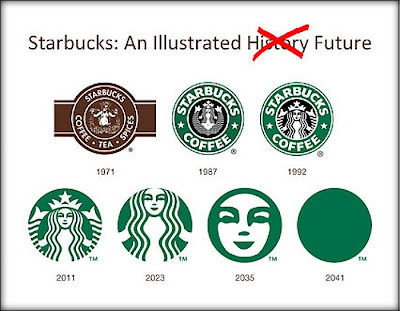 There is a lot of talk right now about the future of Starbucks and much of the buzz has been about the new logo. Saw this funny graphic depicting "Starbucks' illustrated future" and it made me laugh.